Günter Nooke, Angela Merkel’s representative in Africa, has called for a rethink of international approaches towards Africa, in an interview with EURACTIV Germany. 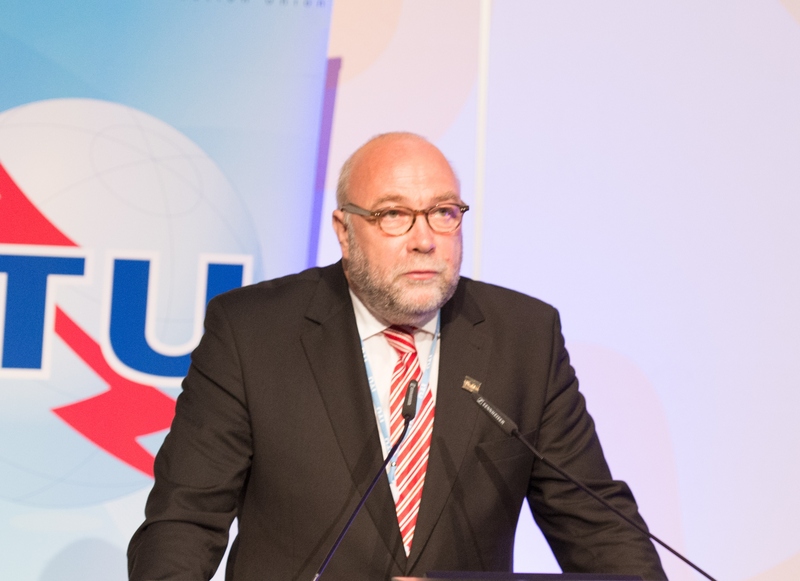 Since 2010, Günter Nooke has been Chancellor Angela Merkel’s representative in Africa. Previously, Nooke was Commissioner for Human Rights Policy and Humanitarian Aid at the German Foreign Office. Between 1998 and 2005 he was the CDU/CSU group’s spokesperson for culture and media in the Bundestag. Nooke spoke with EURACTIV Germany’s Dario Sarmadi. Is the 2030 Agenda that was adopted this weekend really the “breakthrough” that many observers are calling it? In New York, at the UN summit, we agreed upon a very broad vision. I share the Chancellor’s optimism. Much of what we previously thought was impossible, has become reality. Much like how people saw the fall of the Wall, can also apply to the sustainability goals. The fact that all parties could agree to an agenda that incorporates economic, environmental, social and cultural areas is encouraging. But in terms of practically implementing the agenda, I am still sceptical. What’s the cause of this scepticism? We will have to really push ourselves to achieve the goals set out in New York. Political action at all levels will be necessary. Germany, as a nation, can lead by example. But it’s not a foregone conclusion that other countries will follow this example. All nations will have to put aside their own interests and, to some extent, prioritise the Sustainability Development Goals (SDGs). The SDGs are still just voluntary. There is no sanction mechanism in place. The targets are not binding. However, any country that doesn’t stick to what it has agreed with all the countries in New York will lose credibility. This is true for both Germany and China, as well as Uganda or Malawi. Additionally, developing countries need to start solving their problems themselves, instead of only pointing the finger at the industrialised nations. Several African countries have done too little in the period in which the Millennium Development Goals (MDGs) were applicable, investing too little in maternal and infant health care. Too little money has been spent on bringing farmers out of subsistence farming. Promises were made to spend 10% of national budgets on agriculture and 15% on health care. I’ve just come back from Uganda, where they’ve just spent over €700 million on Russian fighter planes. More internal investment in developing countries. Will it be enough? I would like to say that no involved parties can afford to give away too much. I think that we put too much emphasis on action from the industrialised nations. Developing countries have to play their part as well. They have to fight domestic corruption and provide investment opportunities, but not just for the highest-bidder. In many African nations, the political elite have a governance problem. Not just from war and conflict either. The internal structure of governments and official bodies creates huge uncertainty, putting people off investing, German companies included. Billions of euros are available, but have not been invested because of this. The responsibilities expected of the African countries have been clearly spelled out. Anything less would imply that we don’t consider them to be our partners. The African nations are economically dependent on the industrialised world, though. Take the Economic Partnership Agreements (EPA) between the EU and several countries, for example. I have a critical view of the EPAs. Specific sectors of certain African countries have been economically damaged by the agreements. EPA signees are committed to liberalising 85% of trade. There are industries in which African producers simply cannot compete with European manufacturers. For selected goods, it is therefore essential that African countries retain the right to levy import duties. Only in this way will the continent be able to develop. Africa is a net importer of food, even though there are excellent conditions for agricultural production. Africa needs to increase industrial production. This would lead to job creation. Not in China, Mexico or Europe, but in Africa. It’s not in anybody’s interest that our neighbouring continent be supplied externally, rather that Africa doing well itself, that its economy develops, that human rights improve and that it shows environmentally sustainable development. All of these issues are covered by the SDGs. But most EPAs are already signed. No, they have only been negotiated with three countries and are yet to be signed and ratified by everybody else. It could be that regional, intra-African integration, something adopted by the African Union’s Continental Free Trade Area (CFTA), could be the direction in which the continent heads. From a German standpoint, we should promote this regional integration. Even though I am critical of these EU FTAs with Africa, we are, of course, still interested in trading with the continent. The Mediterranean should be something that can bring our worlds together, not divide them further. Large commercial areas are regions of peace and prosperity. In contrast with segregated areas, which are often defended excessively through use of force. More responsibility for Africa. What does this mean for European development cooperation? Do we need to rethink the future? Development cooperation makes sense. But we have to motivate and enable people, not just provide for them. That’s the problem I see with providing sacks of rice during periods of hunger. When farmers see that they can rely on aid organisations to provide them with food, the motivation to till the fields themselves goes out the window. Of course, if there are starving children, people in need, then we have to provide aid. But it should be reserved for extreme situations. Development cooperation should be promoting local, active development. We also need to initiate and promote investment from the private sector. State development cooperation should act as a catalyst. But the private sector has its own interests that are often at odds with the public’s. One can’t generalise in this case. The interest in making money is indeed inherent in our economies. In Africa, they are in business to make money too. In the end it is no more harmful than promoting a charity event in Africa. Angela Merkel has also pledged more state aid. When will Germany achieve its promise of committing 0.7% of Gross National Income (GNI) to development aid? So far, Official Development Assistance is around 0.4%. There is no exact date as to when we will reach the 0.7% target. At EU level, we have agreed on 2030.The Chancellor has reiterated Germany’s commitment to sticking to this goal and continuing to increase development aid in the coming years. This is certain.